Geriatrics refers to the study of the elderly, and this simple topic can encompass a number of different things. Those working in the geriatric psychology field typically handle the needs of aging patients and the problems they face. Many people find themselves upset with the idea of growing older, and suicide rates among the elderly are higher than the rates reported among younger people. Geriatric psychologists handle different needs than geriatric psychiatrists. 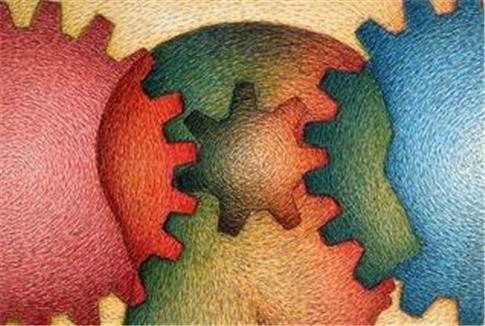 While psychology and psychiatry are two related fields, the two are significantly different. Those with a simple Bachelor’s degree in Psychology can seek work after graduation in nursing homes, retirement homes and other facilities, but many students choose to attend graduate programs. Psychiatrists study Pre-Med or Medicine, and these students must finish a medical degree that involves working in the field. One of the other big differences between the two professions is that psychiatrists can legally prescribe medications to patients, while psychologists usually can’t prescribe medications. Geriatric psychologists study Psychology and Social Work as an undergraduate. Social work programs often include a number of classes on death, dying and the aging process. After finishing the undergraduate program, the student has the chance to attend graduate school. Most jobs in the geriatric psychology field require at least a Master’s degree and some programs look for those who completed a doctorate program. These students often work among the elderly and complete internships in nursing homes and other facilities. Geriatric psychologists can work in either the research field or the counseling field. Researchers meet with patients, perform tests and examine evidence to reach conclusions and determine how aging affects different people. They can use that research to learn how Alzheimer’s attacks the body, what happens to those dealing with psychological conditions and potentially find cures for some of the more common diseases that attack the elderly. Counselors meet directly with patients and help those patients understand the changes they notice. Elderly people often deal with depression and anxiety, but some older patients might also suffer from mood swings and more serious conditions. Counselors can provide therapy, suggest changes patients can make and help patients feel better about themselves. The need for those trained in the field of geriatrics is on the rise. According to the American Association for Geriatric Psychiatry, the number of people reaching advanced ages will increase in years while the number of trained psychiatrists remains stable, meaning that patients won’t have access to the help they need. The number of students enrolling in geriatric psychology programs increased in recent years just as the average salaries of those working in the field increased. As more people grow older, the world needs more people prepared and trained to help those patients handle the stresses and emotional changes that aging brings. Geriatric psychology is essentially the study of aging and its effects on the elderly. Those working in the field can research the impact that aging has on the human body or focus on helping patients deal with the struggles they face. As the number of people growing older increases, the demand for those capable of working in the field will increase as well.